Thanksgiving is over, and if you’re like me you have at least two tubs of leftover turkey in the refrigerator. Of course, you can just re-heat the turkey, or slice it for sandwiches with your favorite allergen-free bread. Or… you can get creative with your turkey leftovers! Chop leftover turkey into chunks (about two cups). Combine turkey chunks with one small (6 oz) can of tomato paste, ½ tsp basil, and 1 tsp oregano. Spread turkey mixture into a greased pie plate. Blend together 2/3 cup of your favorite gluten-free flour mix with 1 cup of original hemp milk, and the equivalent of two eggs (mix 3 tsp Ener-G egg replacer with 4 tbsp. water), and ¼ tsp pepper. Pour crust batter over turkey mixture in pie plate. Bake at 350 degrees for thirty minutes until crust is lightly browned. Slice and serve. This recipe works really well with the dark meat leftovers. Try it and let me know how you like it! If you’ve been here before, you know that I am a chocoholic. My motto is: When in doubt, eat chocolate. If you’re going to have dessert, it may as well be chocolate – and, if it’s a breakfast muffin then obviously, chocolate is the right choice. In my quest to try to adapt the variety of gluten-free baking mixes on the market to be allergen-free, I have found brownies to be a particular challenge. Specifically, those that are high in sugar content (or where sugar is the first ingredient listed on the package) tend to be the most problematic when you leave out the eggs. This time I tried Namaste gluten-free brownie mix . I love the Namaste flour, muffin mix, and chocolate cake mix, so I was a bit disappointed that I couldn’t make the brownie work. The only substitute required on this one was the eggs. I used Ener-G egg replacer to make the equivalent of three eggs, and I added the oil that the mix called for. The result? A sugary brownie mess. I can now tell before time is up on the oven timer when a brownie mix isn’t going to work because I can hear the brownies sizzling in the pan. Brownies aren’t supposed to sizzle are they? No, I don’t think so. And once again, I have concluded that some gluten-free mixes that require eggs, just can’t be adapted to be allergen-free. I recommend avoiding Namaste, King Arthur Flour, and Trader Joe’s gluten-free brownie mixes if you need to replace the eggs. Brownie mixes that work with allergen-free substitutes include Bob’s Red Mill, and my favorite – Pamela’s Products. Does anyone have a suggestion for other brownie mixes I should try? Cranberry sauce isn’t necessarily a problem for the food-allergic – you can find canned whole cranberry sauce and jellied cranberry sauce that works for most of the food-allergic. However, if you want a cranberry sauce without high-fructose corn syrup – or made with organic cranberries, you are much better off if you make your own. I’ve been making cranberry sauce for years, and it’s about the simplest thing you can make. Oh, and it is soooooo much better than those cranberry jellies. 1. Bring cranberries and orange juice to a boil in medium saucepan over high heat. 2. Reduce heat to med-high and boil until cranberries begin to pop open (3-4 minutes). 4. Reduce heat to low and simmer until sauce starts to thicken (about 10 minutes). 5. Add agave nectar and continue simmering another 2-3 minutes. 7. Transfer to serving bowl and refrigerate until ready to serve. Leftover cranberry sauce makes a great jam or spread. 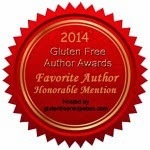 The Allergen-Free Holiday Cookbook is available at Smashwords. Download it for free with coupon code “AA48Y”. If you like it, I’d appreciate it if you post a review on Smashwords! I usually only make cranberry bread during the holidays, when it’s easy to find fresh organic cranberries. Then I load up on cranberries and make extra loaves of this great bread to freeze and eat throughout the winter. I really like the combination of oat flour and rice flours in this bread, but you can substitute your favorite flours. I serve it on Thanksgiving, and then we have the leftovers for breakfast the next day. 1. Stir together dry ingredients. 2. In mixer combine Earth balance, honey, and orange juice. Mix on medium for two minutes. 3. Add in cranberries, and mix for another minute. 4. Gradually add in flour blend, mixing on medium speed until all ingredients are combined. 5. Transfer immediately to greased loaf pan. 6. Bake at 350 degrees for 45 minutes until toothpick comes out clean. Always mix xantham gum in thoroughly with dry ingredients. You may substitute 1 ¼ cups of your favorite gluten-free flour blend for the rice flours. If you use a flour blend that contains xantham gum, eliminate the ½ tsp of xantham gum. Make your own oat flour from gluten-free oats in your food processor or blender is gluten-free oat flour is not available. Try cranberry honey if you can find it. For more holiday recipe ideas, download The Allergen-Free Holiday Cookbook from Smashwords. I recommend the PDF format so you can print it out and take notes. Use Smashwords coupon code “AA48Y” to get the book for free through year-end. If you like it, I’d appreciate it if you post a review on Smashwords! Here in the Hudson Valley apples are in season. Apple orchards surround our community. There are farms where you can pick your own apples, and there are plenty of local apple selections available at the grocery store. What does that mean? Even when I was baking with wheat I was afraid of pies. For years I was a slave to the Pillsbury pie crusts that you get at the grocery store and unfold into your pie plate. But I have discovered that gluten-free pie crusts can actually be easier than wheat crusts. You don’t have to worry about the crust staying in one piece – you can just glue it back together with your fingers and no one will be able to tell! Today I am sharing my recipe for Apple Raisin Pie. You’re gonna love this one! 1. Prepare filling: By hand, combine apples and raisins in large bowl. Toss with lime juice. Add sugar, sweet rice flour and lime juice. Toss to coat apples. Set aside. 2. Prepare pie crust: Combine flours, baking powder, salt, and Sucanat in large mixing bowl, by hand. 3. Using a pastry cutter, mix in Earth Balance, water, and vinegar. 4. Continue combining until a pasty mixture forms. 5. Separate pie crust mixture into two equal amounts. 6. Roll out first crust, and gently place in greased pie pan. 8. Roll out second crust. Gently place over pie pan, crimping the two crusts together. Bake at 350 degrees for 45 minutes. Serve warm, or let cool. If a pastry cutter is not available, use your hands. Gluten-free pie crusts can easily be repaired by sticking additional pie dough where the damage occurs. There is no need to rise. Roll out crusts between two sheets of waxed paper, then gently peel paper back to release the crust. 2 ½ cups of your favorite gluten-flour mix can be substituted for the pie crust flours. 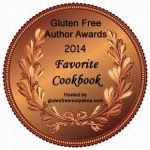 Don't forget to download The Allergen-Free Holiday Cookbook from Smashwords. I am offering this free to readers of Learning to Eat Allergy-Free through the end of 2010. Use Smashwords coupon code “AA48Y”. If you like it, I’d appreciate it if you post a review on Smashwords! It's hard to believe that the holidays are almost here! Of course, that means family gatherings and holiday meals – and for those of who need to cook for families with food allergies, there can be added stress. For the next few weeks I will share some of my family’s favorite allergen-free and gluten-free holiday recipes. First up is my breadless turkey stuffing. My family has been making meat stuffing for years. This recipe goes back to my grandmother’s French-Canadian heritage. I have modified it over the years, but the essence of the meat stuffing tradition in my family remains. 1. Prepare the rice according to package instructions. Set aside. 2. Brown the turkey and pork together in a large skillet over med-high heat. When cooked thoroughly, drain. Add the Bell’s seasoning to the meat mixture. 3. In a small skillet, add the olive oil and onions. Sauté over medium heat until the onions are caramelized (8-10 minutes). 4. Combine the meat mixture, rice, apple, and onions together in a large mixing bowl. 5. Stuff and roast turkey. 6. When turkey is done, remove stuffing from bird and transfer to a serving dish. Serve immediately. Makes enough stuffing for a 14-18 pound turkey. Stuff the turkey only when you are ready to begin roasting to avoid illness. Adjust the amounts for a smaller or larger bird. If Bell’s seasoning is not available, substitute equal 1 tsp rosemary, 1 tsp oregano, and 1 tsp pepper. This recipe can be made as a side dish. Prepare as above, transfer to a casserole dish, add 4 tbsp Earth Balance soy free buttery spread on top, bake at 350 degrees for 45 minutes. For more holiday recipe ideas, download The Allergen-Free Holiday Cookbook from Smashwords, available in many formats. I recommend the PDF format so you can print it out and take notes. I am offering this free to readers of Learning to Eat Allergy-Free through the end of 2010. Use Smashwords coupon code “AA48Y”. If you like it, I’d appreciate it if you post a review on Smashwords! 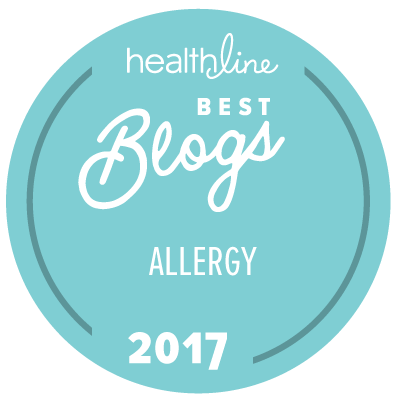 Lots of food-allergy blogging buddies have been sharing recipes with Daiya, a dairy-free alternative to cheese. I had been waiting for it to show up at my local health food store, and was very excited when it finally arrived. I decided to make an allergen-free veggie pizza, with the mozzarella style Daiya. Made primarily from tapioca, arrowroot flour, pea protein, and oils (including coconut oil), this product is vegan, gluten-free, and top eight allergen-free (except for coconut). It boasts the ability to melt like traditional cheese, and it does. While you don’t get the stringy effect like traditional cheese, Daiya does provide a nice soft melted layer. That said, my family was less than thrilled with the taste, which is more reminiscent of beans than cheese. Despite being quite willing to try just about any new product, my son’s assessment was that he’d rather have had the pizza without the cheese. Oh well, you can’t win them all. The pizza was made with Miss Roben’s pizza crust mix. Have you tried Daiya yet? What did you think? I am on a never-ending quest to try all of the allergen-free and gluten-free brownies on the market. You might wonder, as my family does, why I don’t just stick with my favorite Pamela's Products Brownie Mix, and I don’t have a good answer. It may be because so many of the brownie mixes I have tried have been a challenge to get just right when made without eggs, butter, or milk, and I just can't resist a challenge! I used Earth Balance shortening (1 ½ sticks) instead of butter, and Ener-G egg replacer (4 ½ tsp Ener-G mixed with 6 tablespoons water) to replace the three eggs. I added Enjoy Life chocolate chips . I find that with most adapted gluten-free mixes I need to bake a little longer, and that was true here as well. I left them in the oven for 25 minutes, and voila! These brownies were quite good! This mix makes a large batch – it fills a 13X9 pan versus the usual 9X9 brownie pan. Not quite as fudgy as my favorite Pamela’s brownies, these are a great alternative when you want a more cake-like brownie, and they adapt quite well to allergen-free substitutes. I should also note that the flours in this mix are potato starch, sorghum, tapioca, and corn, while the Pamela’s Products brownie mix is made with rice flours.